If you've ever worked a job that required you to be on your feet for long hours and have slip-resistant footwear, you know the importance of having comfortable work shoes that are in fact slip-resistant. Face it: you cannot claim compensation if you fall and bust y ... (see full details) (see specifications) #RB3500. If you've ever worked a job that required you to be on your feet for long hours and have slip-resistant footwear, you know the importance of having comfortable work shoes that are in fact slip-resistant. Face it: you cannot claim compensation if you fall and bust your skull because you did not have slip-resistant shoes. Designed with the comfort and style of running shoes, but built for a variety of work environments, these Reebok’s Guide Performance Cross Trainer RB3500 Men's Black Non-Metallic General Toe EH Shoes are no doubt worthy of your daily wardrobe. Reebok designed this pair with moisture-wicking interiors to handle your daily foot sweat, and these are also electrical hazard rated to guard you around some open circuits. 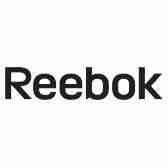 When it comes to wearing high quality performance footwear, choose Reebok. These all-black performance work cross trainers feature all-leather uppers that have a subtle athletic design. These uppers showcase a low-cut construction that echoes running footwear. This build provides you with freedom of motion at your ankle, as well as faster heel-to-toe movements. Speaking of toes, these all-black Reebok shoes are metal-free and include a soft toe. But don’t let that soft toe fool you - these Reebok cross trainers are ASTM F2892 certified for workplace safety. They're resistant to a lot abrasions, and they offer electrical hazard protection. The durable black leather uppers are attached to Reebok’s all-leather slip- and oil-resistant outsole. This outsole adds increased stability and comfort in all kinds of work environments. This special outsole design promotes dynamic biomechanics of 12.9-degree flex at the 70-percent point from heel to toe. Now that's pretty impressive! To further increase the comfort of your feet, Reebok added their R52 midsole to these performance EH shoes. This midsole, which is featured in their running shoes, is engineered to cushion your feet on impact at every stride. This midsole coupled with the inclusion of a soft mesh lining and their patented MemoryTech footbed on the interior gives these work cross trainers the feel you would expect from running shoes. The mesh lining that we just mentioned will help keep your feet dry throughout your work day. Again, think of your running shoes (...that is, if you run). This pair has the same type of moisture-wicking that's common in athletic shoes, so you'll have increased foot comfort. When it comes to cushioning in men's cross trainers, Reebok’s MemoryTech footbed is top-of-the-line. This footbed adapts to the natural contours of your feet to provide you with long-lasting and customized comfort. Sometimes in life, you can get the proverbial “best of both worlds.” When it pertains to work shoes, why would you not want men's footwear that's designed for work, but also has the build and comfort of athletic shoes? That’s a rhetorical question. We highly recommend you consider making these Reebok Guide Performance Cross Trainer RB3500 Men's Black EH Non-Metallic General Toe Shoes from Working Person's Store a daily work staple. Reebok Shoes: Men's RB3500 Black EH Non-Metallic Guide Performance Cross Trainers is being added to your cart.